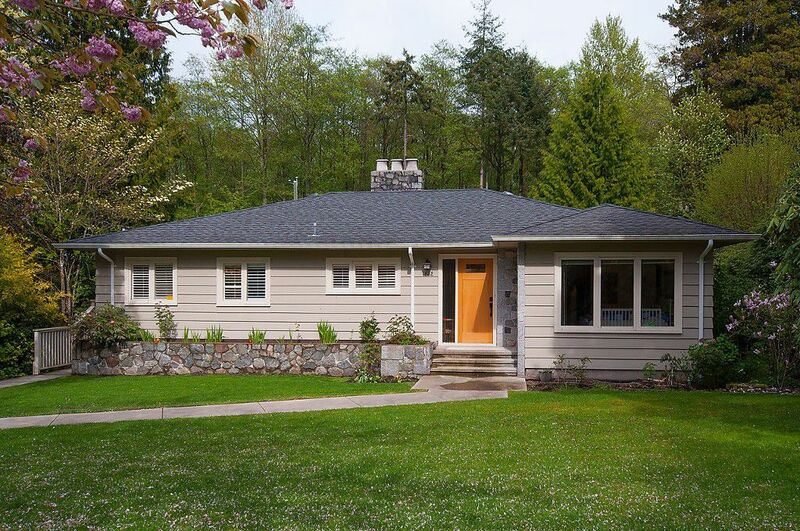 Rare opportunity to own 80' X 175' property which backs onto Pacific Spirit Park in UEL. Beautiful flat E facing backyard is ready for your inspiration. Main flr consists of 2 bdrms, open concept living/dining which opens to large conservatory over looking lush grdns & views of endowment lands. House was raised in 2010 & lower lvl was fully developed. Master suite has generous walk in closet, spa like bath w/soaker tub & stand up shower. Additional bdrm, laundry, media rm & lots of storage can also be found on the lower lvl. Current home is 3633 Sq Ft & could be a great family home or holding property. Updates incl: Roof (6yrs), Kitchen & bath updates (2005), Radiant heating, hot water tank (5yrs).